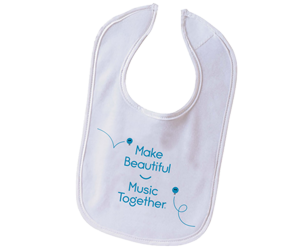 This soft, white bib with “Make Beautiful Music Together” in dark teal has a Velcro closure for easy on and off at mealtimes. 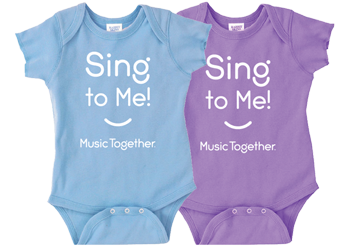 NEW PRODUCT These charming “Sing To Me” onesies are 100% cotton and feature lap shoulders to make it easier to change baby’s outfit. These adorable “Hello Everybody! 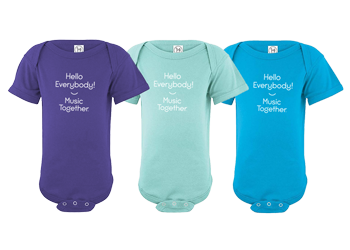 Music Together” onesies are 100% cotton and feature lap shoulders to make it easier to change baby’s outfit.